Fibromyalgia makes it hard to get things done. Pain, fatigue, and brain fog conspire to slow your progress no matter how determined you are to accomplish your goals. I want to share the three most helpful technology hacks that I use for getting around the challenges of living with chronic illness. (All of my suggestions are based on my own preferences, and are not sponsored or affiliated with any companies or apps). Voice Dictation Software: The last time I was able to type a single page on my computer was the year before my fibro diagnosis. Shoulder pain, neck pain, carpal tunnel, pinched radial nerve – I developed any and every pain related to computer-work. No amount of ergonomic-anything was able to make it comfortable for me to type. Like many people with fibro, home is where I’ve spent most of my time since my diagnosis. Being unable to use my computer was very demoralizing because the internet was my gateway to the wide world beyond my home. In the past few years voice dictation software has become significantly more accurate. In fact, voice dictation is 2-3× faster than touch typing! Most importantly, it’s significantly easier on your body. Once I realized how much pain I could save myself, I began exclusively using voice dictation on all of my devices. On my phone and tablet, I use Google Voice typing to dictate text messages and emails. This is more gentle on my wrists than texting, but editing any mistakes has to be done manually. On flare days, I have to stay away from doing too much on my phone. My favourite voice dictation software is Dragon Naturally Speaking by Nuance, which is for desktop and laptop computers, both PC and Mac. Not only can you dictate and edit by voice, but you can also command your computer and mouse by voice! It takes a while to get up to speed on how to use Dragon (eventually I got the book Dragon Naturally Speaking For Dummies). However, with a little bit of patience, I’ve been able to use my computer again, and reconnect with the great big world out there. Most importantly, I have been able to spare myself a lot of upper back, neck and wrist pain. One unexpected benefit is being able to work on the computer while standing, sitting or even lying down via my headset. 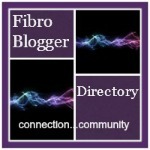 That’s about as fibro-friendly as it gets! Pomodoro Pacing Apps: So you’re feeling pretty well, better than you have for a few days, and you decide it’s finally time to get some things done. You dive into doing the laundry, clearing your email inbox, or getting the groceries. But in your rush to finish the task, you blow past your limit and end up crashing. The next day you wake up with a flare. Sound familiar? Theoretically, I know I will be more productive if I do things in small chunks, rather than trying to get it done all at once. I know that I should take small breaks. Closing my eyes and resting for a few moments helps to prevent brain fog. Shifting position, stretching or walking around really helps to banish back pain. But in the moment I find it really hard to remember to take those breaks. In frustration, figuring that ‘there must be an app for that’, I decided to research productivity apps. That’s when I learned about the Pomodoro technique. The Pomodoro technique is based on the principle that the most productive way to work is in short focused bursts, with mini breaks in between. Typically, this means 25 minutes of work followed by five minutes rest, with a longer 15 minute rest after several work sessions. For people without fibromyalgia, this technique has been shown to increase productivity. And, of course, there are lots of apps for that! I use one called Good Time, which lets me customize how long I want my work/break sessions to be. On a particularly brain foggy, achy day, I sometimes make my work-break sessions equivalent (15 minutes on, 15 minutes off). On a good day, I stick to the 25/5 minute Pomodoro technique. It’s particularly useful because I can customize taking a longer rest break – usually about half an hour – after two or three cycles of work/mini break bursts. The problem with simply using the timer on my phone’s clock is that I forget to reset it once a single session has elapsed. You can set the timer on a Pomodoro technique app to work continuously, so it automatically pings when a new session of work or break begins. It’s brain fog proof! No matter how many times I resolve to pace my activities, I always end up pushing past my limits. The notification bell reminding me that it’s time to take a break is the only solution I have found that actually works. Voice Activated Virtual Assistant: The bane of my fibromyalgia existence is being unable to remember when I need to do things – deadlines, appointments, responding to emails or texts, or anything of that nature. The answer seems simple – add things to my to-do list when I remember them, and that way I’ll be able to keep track of all my tasks. Except, in order for that to work, I need to remember to check my to-do list! For the life of me, I can’t seem to do that. Brain fog is one of the most frustrating fibromyalgia symptoms, but virtual assistants can do some of the planning for you. Many of us don’t use the full functionality of assistants like Siri, Cortana, Google Assistant, Alexa, Bixby or Dragon Mobile. You can save notes to yourself if you want to jot something down before you forget it. If you want to compile multiple notes, like ideas for a project, you can send an email to yourself with of a complete list of your ideas at the end of the day. Additionally, you can add general reminders you might want to access at any time, like the license plate of a rental car. If you ask “what’s on my calendar tomorrow?” your assistant will tell you what you have scheduled the next day. Virtual assistants can send texts, make calls, read aloud your messages, find emails and more by voice, which I find helpful when I have eye strain or sore wrists. Assistants can do calculations, so if brain fog is preventing you from figuring out how much to tip, you can ask for a little help.